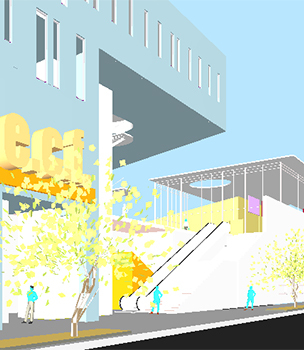 The Rondstadt Transit Center Joint Development marries Tucson's rich heritage with a vision of Tucson's future. 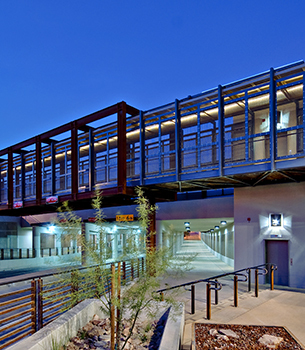 The multi-facetted revitalization of public infrastructure around the 4th Street Underpass breathes new life into Tucson's historic core. 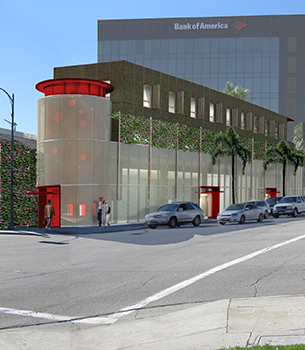 Renovating old shells for new uses and transforming the block in Culver City’s dynamic transit district. 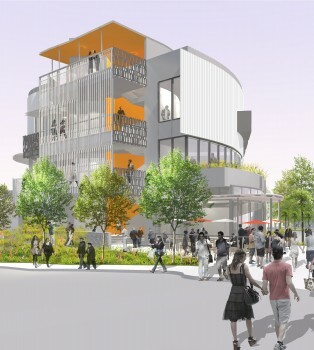 Inviting circulation spaces and public areas along a dynamic sidewalk edge revitalize an uncharacteristically underdeveloped stretch of Santa Monica Boulevard in this mixed-use development. 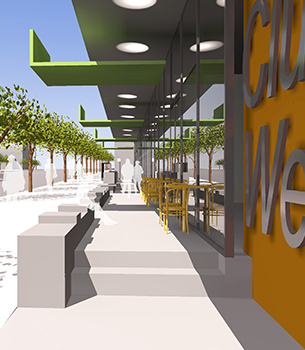 A recessed secondary sidewalk menaders in an out of the retail and restaurant spaces and adds benches and planters to create lively streetscape that invited pedestrians to linger and explore. 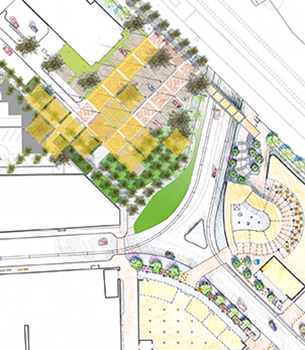 Our involvement in the Plaza Centro Master Plan saved the city $ 6M and enabled the capture and re-programming of 60,000 SF of urban land for a public-private partnership development that redefined the area adjacent to Tucson's historic district. 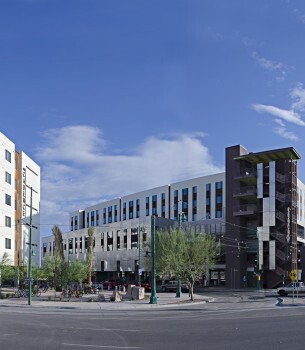 As urban design consultants for the private portion of the Plaza Centro Development, we guided the weaving of new student housing, offices and retail spaces into the existing streetscape to create a vibrant, urban fabric. 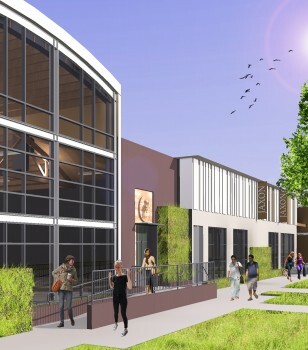 This visionary project sets out to redefine Sherman Oaks' predominantly industrial northern edge. 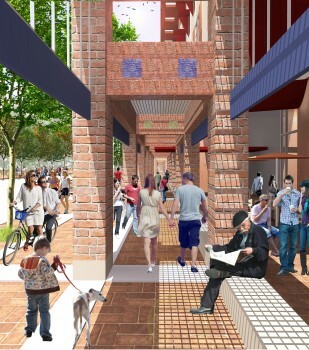 Taking advantage of direct connections to transportation, service, and public infrastructures, the mixed use proposal aims to spearhead a neighborhood redevelopment geared towards people, not cars. 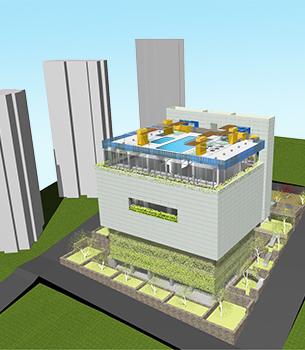 Marrying a compact footprint with dense, varied programming creates the unique shape of this iconic retail center in Izmir, Turkey. 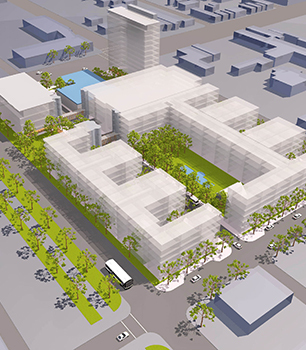 The transformation of downtown Culver City's north end from no-man's-land to transportation node demands holistic planning that addresses all components of urban life. 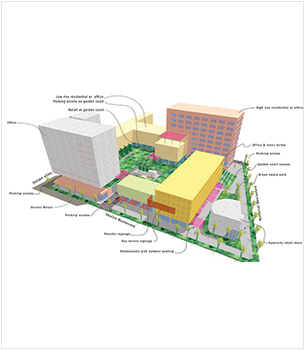 A diverse range of residential units, neighborhood serving retail and workplaces and welcoming public open spaces on multiple levels create an interactive, living urban environment in this formerly industrial part of town.